One in three internet users today is a child. Additionally, a research by TotallyAwesome in Asia Pacific showed that kids are spending more time online. However, together with the increase in time spent online come the growing concerns of parents. And they have reasons to feel so. 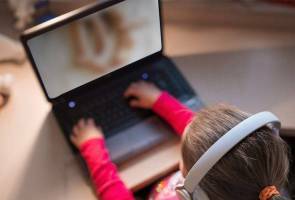 Based on the same research, 75 per cent of parents revealed that their kids had already experienced issues such as being exposed to inappropriate content or fallen victim to bad influence. To address this issue, there has been a simultaneous surge in data privacy requirements, ensuring that children are only served appropriate brand messages. This ‘filter’ however, is taking a toll on brands, making it more difficult for them to reach out to their young target audience. “Advertising to the kids’ segment has always been an extremely complicated and contentious proposition for advertisers but it need not be. With this collaboration, Blaze enables brands to interact and communicate with their targeted (kids) audience in an extremely brand safe, relevant and carefully curated environment,” said Blaze Digital’s Vice President Andy Yap. With TotallyAwesome’s research showing that children have become influencers for many household purchase decisions—some even hold purchase power by themselves with RM205 per month in regular pocket money, it is no wonder why brands want to engage with kids in the digital space. Leveraging on TotallyAwesome’s ad platform AwesomeAds and its advanced contextual targeting algorithm, brands will be able to engage with kids on relevant, safe and appropriate kids and teens content, delivering a more focused reach to the right audience and ensuring 100 per cent brand and kid safety. The partnership also allows clients the use of Kidfluencer marketing. In Malaysia, TotallyAwesome’s Kidfluencer marketplace boasts an accumulated following of 22 million with a total of 0.8 billion combined views. Again, safety and compliance is key—with every Kidfluencer required to be SAFEFAM certified, a program for family and under-13 social content creators.